Has any filmmaker, besides Orson Welles, faced as much misfortune as Terry Gilliam has in bringing his movies to the screen? Gilliam's attempt to put his stamp on the story of Don Quixote is the stuff of legend. He began filming "The Man Who Killed Don Quixote" more than a decade ago, and after fits and starts and changes of leading men, the movie still isn't made, although it has spawned Keith Fulton and Louis Pepe's engrossing documentary about Gilliam's futile efforts, "Lost in La Mancha." More recently (and tragically) Gilliam's 2009 film "The Imaginarium of Doctor Parnassus" lost its star when Heath Ledger died in the middle of production. Gilliam salvaged the footage he'd shot with a plot twist that allowed other actors (Johnny Depp, Jude Law and Colin Farrell) to step into Ledger's role. But the resulting film was a disappointment on almost every level. Gilliam's most famous struggle involved his 1985 masterpiece "Brazil" — one of my all-time top 10 films — which faced trials of a more typically Hollywood sort. Initially, the studio butchered "Brazil," hacking 48 minutes from its running time and turning what was left into a love-conquers-all romance, complete with studio-issue happy ending. Gilliam had to wage a publicity campaign to shame Universal Studios into releasing something closer to his original 142-minute cut. Somehow that all seems ironic for a film about the frustrating, dehumanizing and ultimately soul-crushing effects of bureaucracy. Gilliam's preferred version of "Brazil" (the European cut) has been available on DVD for years as part of the Criterion Collection, but this month Criterion released it on Blu-ray, giving "Brazil" its most definitive and eye-popping release to date. Unlike most dystopian tales, "Brazil" isn't set in the future but in a dystopian anytime, "somewhere in the 20th century," as the opening titles tell us. It's not so much science fiction as it is a surreal reflection of what American and European societies have already become: governments that resort to police-state tactics with alarming and increasing regularity, a looming threat of terrorism both real and imagined, and endless, mind-numbing paperwork. You can't even get your air conditioning fixed without a proper form 27B-6, a sly reference to George Orwell's apartment number. It's the sort of world where one clerical error could get a man killed, just as in ours it can land you on a "no fly" list. So, a competent but feckless button-pusher like Sam Lowry (Jonathan Pryce) is just a hapless cog in the machinery of government, and the unlikely hero is the mysterious Harry Tuttle (Robert De Niro), a freelance repairman who became fed up with all the red tape and struck out on his own. Now Tuttle is an enemy of the state, a man named Buttle is a victim of mistaken identity, and Sam is mixed up in it all because the literal woman of his dreams (Kim Greist) is Buttle's upstairs neighbor. Apart from being Gilliam's most visually striking film, with production design by Norman Garwood ("The Princess Bride") and cinematography by Roger Pratt (Tim Burton's "Batman"), "Brazil" is his strongest narrative. No surprise there, as the screenplay is by Gilliam, his frequent collaborator Charles McKeown and playwright Tom Stoppard ("Rosencrantz and Guildenstern Are Dead"). And Stoppard's fingerprints are all over the finished result. If there is a reason why Gilliam has never exceeded the artistic triumph of "Brazil" in his subsequent films, I suspect it's the lack of Stoppard's input. Once again, the auteur theory runs into the reality that screenwriters do matter, as much as some critics still like to ignore them. 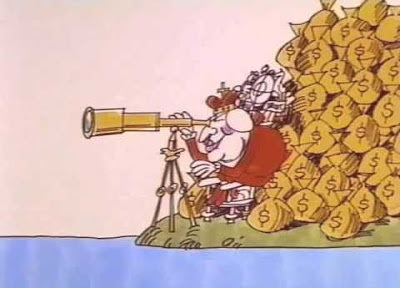 Stoppard aside, "Brazil" is still very much a Terry Gilliam film, with some scenes coming across as live-action recreations of some of his old Monty Python cartoons. "Brazil" is personal filmmaking that very nearly fell victim to the same impulses it so expertly criticizes. When even George Noory, the host of the radio program "Coast to Coast A.M." — a nightly tour of the paranormal and just plain paranoid — thinks he'll still be on the air, broadcasting as usual, after Dec. 21, it's probably safe to say there is nothing to the Mayan apocalypse. Nothing for us, anyway. For the Mayan civilization, the end was centuries ago. Yes, like a joke too long in the telling, Friday is finally the day, the day "preppers" have been prepping for. (Can you believe they have a name, like "truthers" and "birthers?") Although how you prepare for the end of the world is a mystery to me. If the world is over, where are you going to live? As the Rocket Man said, "Mars ain't the kind of place to raise a kid." By now it seems like the world is ending every other year or so. In fact, it was just last year that Harold Camping's prediction that the Rapture would take place on May 21, 2011, went unfulfilled. And who can forget the year 2000? Y2K was the secular answer to the Christian End Times. On Jan. 1, 2000, computers would malfunction, airplanes would fall from the sky, the power grid would fail, nuclear power plants would melt down and all of humanity's works would would lie in ruins — a Luddite's paradise. Now here it is, 12 years later, and my computer is actually running a reasonably stable version of Windows. Winning! But at least in the case of Y2K there was a real technological problem. The doomsayers weren't entirely delusional. They just greatly overestimated the extent of the challenge and greatly underestimated our ability to meet it. They were done in by what social scientists call "pessimistic bias." Other doomsday enthusiasts don't have that excuse. Calendars, however useful, are human inventions, and their start dates and end dates — when they recycle back to the beginning — are largely arbitrary. For example, the next Chinese New Year is Feb. 10, by which time most Americans will have long gotten over their New Year's Eve hangovers. 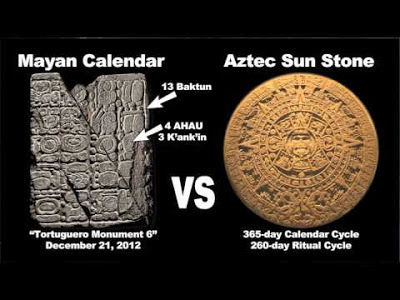 So why the Mayans and their infamous "long count" calendar? What's so special about them? To hazard a guess, it's because the Mayans play into two popular but misguided ways of thinking about ancient civilizations. The first is to regard them as keepers of lost spiritual wisdom that the modern world needs to rediscover. As such, the Mayans, like the Egyptians, have much to teach us, or so the story goes. The other is that civilizations like the Mayans and Egyptians were so advanced they must have had help from aliens from outer space. And that extraterrestrial boost is what gave them access to secret wisdom we must now recover if we are ever to reach our true potential. The first view is cartoonish, and the second is condescending. The Mayans, like other ancient peoples, were people. They created an advanced civilization, especially for its time, and were pretty good with things like astronomy (a necessity for an agricultural society) and math. But they don't seem to have had access to otherworldly insights. Still, some people entertain the possibility that super-secret knowledge is to be gained from the Mayans. It's enough people to fuel a cottage industry of books, movies and TV shows. Syfy, History and Discovery are just three cable channels airing Mayan doomsday specials this week. And the 2009 movie "2012," which got an early start on this year's apocalypse, not only expected us to take doomsday seriously, it expected us to accept John Cusack as an action hero. Oh, and by the way: That picture of the Mayan calendar you've seen on the Internet? You know, the stone disk with the face in the middle sticking its tongue out at you. That's not the Mayan long count calendar. It's the Aztec Sun Stone. Camille Paglia is nothing if not provocative. Her other virtues perhaps have more widespread appeal: She is passionate about the arts and about ideas, writes with limitless energy and isn't afraid to stake out a position in the face of ridicule. All of those virtues — including the first — are on display in Paglia's book "Glittering Images: A Journey Through Art from Egypt to Star Wars" (Pantheon, $30, hardcover). What she did for poetry in her literary survey "Break, Blow, Burn," Paglia now attempts for the visual arts, starting, as in "Sexual Personae," with Egypt during the late Bronze Age and working her way to present day. It's a long journey, represented by just 29 works, some well known and some, in Paglia's view, deserving a wider audience. The book is a freshman-level art history course, Paglia's attempt to make up for the dismal state of arts education in the U.S., and it is difficult to fault her appraisal. Arts funding is attacked by conservatives who see the arts as either impractical or a haven for their political enemies. Meanwhile, the left degrades artistic standards by defending anything that offends the sensibilities of the hicks in the sticks. "Nothing is more hackneyed," Paglia writes in her introduction, "than the liberal dogma that shock value confers automatic importance on an artwork." Not that Paglia shies away from the shocking, but there must be more to it than that. To cite two names from the 1990s culture wars, she defends Robert Mapplethorpe while deriding as "third rate" the works of Andres Serrano. Not all that is transgressive is created equal. The book's throat-clearing political broadsides are nothing new from Paglia, although her pox-on-both-houses attitude may prove instructive for novice readers trained to see the world in red and blue. But we're paying admission for what Paglia has to say about her 29 chosen works, and here she rarely disappoints. Her subjects include undisputed masterpieces like the statue "Laocoön and His Sons" from the first century B.C. It was Laocoön who, in myth, warned the Trojans against Greeks bearing gifts and was killed for his trouble, along with his sons, by the vengeful goddess Minerva, a Greek partisan. For Paglia this is representative of the question facing every religion: "Are the gods' codes and demands fair or arbitrary?" If you have an answer, a fellow named Job would like to know. 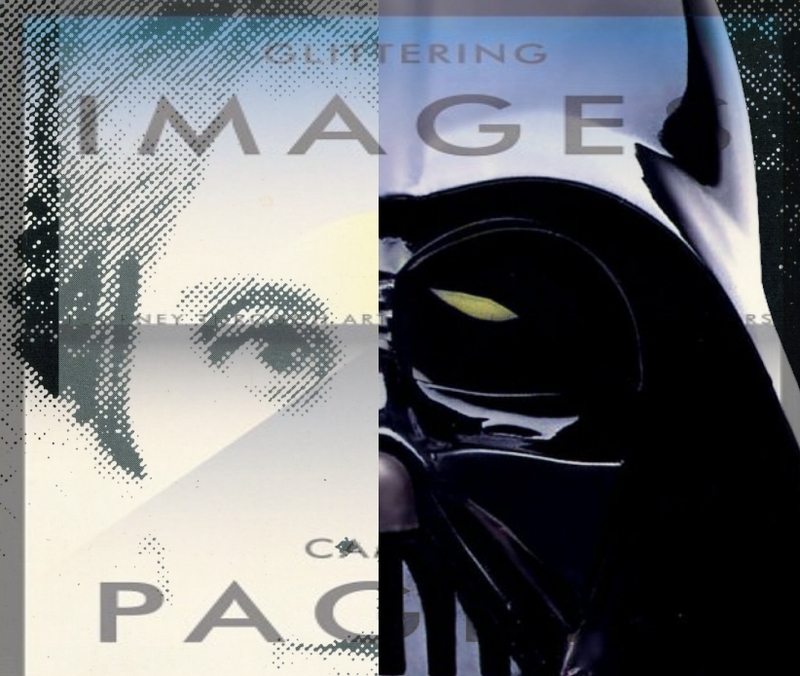 That brings us to Paglia's boldest claim, the one hinted at in the book's subtitle, that "Star Wars" creator George Lucas is the "greatest artist of our time." She is right on one count: "No one has closed the gap between art and technology more successfully than George Lucas." But in terms of pure images, has Lucas even the influence of Marvel Comics auteur Jack Kirby? And is Lucas' most indelible image really, as Paglia says, the volcano planet of "Revenge of the Sith"? Surely it's the image of the star destroyer filling the screen in the opening shot of "Star Wars: Episode IV ­— A New Hope." "Glittering Images" is a marvelous work, but not all that glitters is gold. Culture Shock 12.06.12: Congratulations, royal watchers, it's a Windsor! The announcement of a royal pregnancy in the House of Windsor comes at an auspicious time for a realm in the grip of fiscal austerity. This is not exactly the way it happened. However indulgent British "austerity" may be — government spending cuts have been trivial while taxes have been hiked, repeating the fairytale of virtually every nation enacting "austerity" measures — austerity is largely a state of mind. And what can lift the spirits of Her Royal Majesty's subjects more than the prospect of a new heir? Yes, the Duchess of Cambridge, Kate Middleton, and her husband Prince William are expecting. This is particularly good news for British tourism. The royal family and its royal residences are among Great Britain's major tourist attractions, to the princely sum of more than $800 million a year, while the cost of running the royal household last year was a mere pittance by comparison, roughly $52 million, according to figures from The Telegraph and Monday's exchange rate. Tourism is big business in the U.K., so this is all very important. And as anyone who has ever run a tourist attraction knows, you have to keep the attraction fresh to keep the visitors and their gift-shop purchases rolling in. Those souvenir replicas of Big Ben and Union Jack T-shirts don't sell themselves. A British royal baby is the equivalent of Six Flags adding a new roller coaster. You have to install new attractions to keep the tourists coming. And most of the English-speaking world is entranced. First a royal wedding complete with ridiculous hats out of a rejected Monty Python sketch, now a baby! It's almost enough to make up for Kate's revealing run-in with the paparazzi just a few months ago. The way large numbers of us latch onto celebrity — any celebrity — it's clearly part of human nature. And say what you will about Elizabeth II and her sprawling family, at least they do typically display some measure of class, that heir-do-well Prince Harry excepted. Yet even his tawdry tabloid trysts are to be preferred to the antics of the houses of Hilton, Lohan and Kardashian. Now I understand many of you are fed up with your fellow Americans' obsession with royal watching. You're thinking, "Didn't we have a revolution so we wouldn't have royalty?" Simply put, no. We had a revolution over taxes that were less than what Englishmen in England were paying at the time to subsidize our defense. The real financial burden of empire is always born by the imperial power, not the colonies, as economic historian Deirdre McCloskey has observed. Besides, constitutional monarchy has its advantages. Chiefly, under constitutional monarchy the offices of head of state and head of government are separate. You have a head of state, the monarch, in whom you can invest your national sense of worth, then you have a head of government, a president or prime minister who runs the place, if not all that well. That allows you to freely ridicule your head of government when he deserves it — which is pretty much all the time — while not running down the personage who is the face of the nation. In America, our head of state and head of government are combined in one office, the presidency. So no matter how much the president might deserve to be tarred and feathered, we're always told we must "show respect for the office." This, I submit, is unhealthy for democracy. Certainly I've never heard anyone from Britain say we must show respect for the office of prime minister. And who'd take it seriously if they did? Tony Blair held the post, for Pete's sake. So, welcome Britain's new blue-blooded baby. One day he or she will help the British people take their minds off the clown occupying Number 10. It is an honorable fate.